Ryan is our winner. He gets a $100 VO gift certificate. 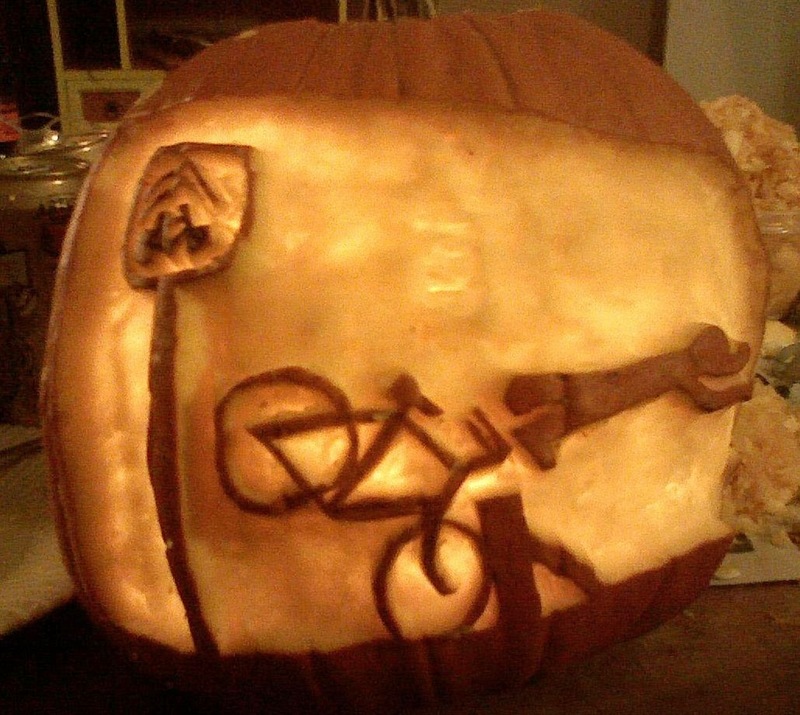 You may remember that we were running a bike-related pumpkin carving contest. After much deliberation and voting (by the VO staff). Ryan won with his whimsical flying cyclist. Below are a few more entries we particularly liked. Gus's rendering of Picasso's famous Bulls Head came in a very close second. This is bike related because Picasso's original is made from a leather saddle and a pair of handlebars. This design is cleverly made from four VOs. Good job, George. 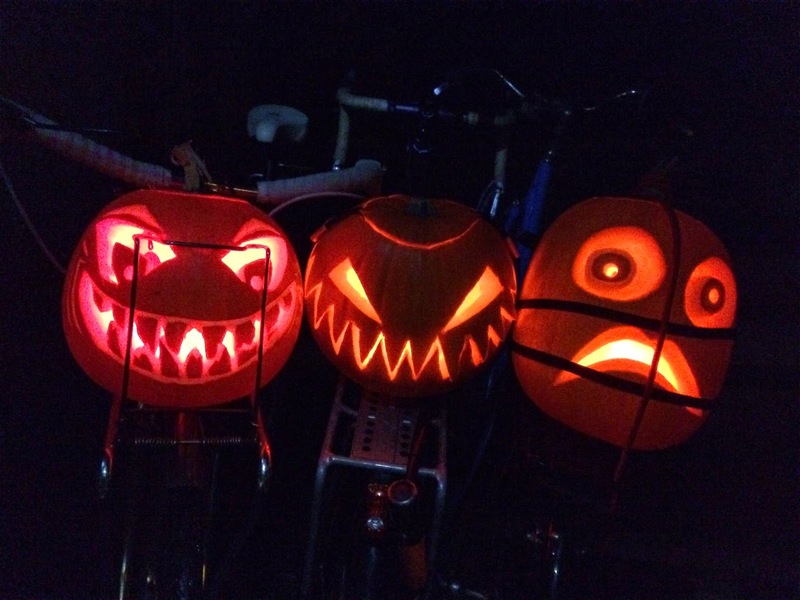 Three pumpkins on three bikes. Thanks, Devon. We've always said that VO runs on coffee. 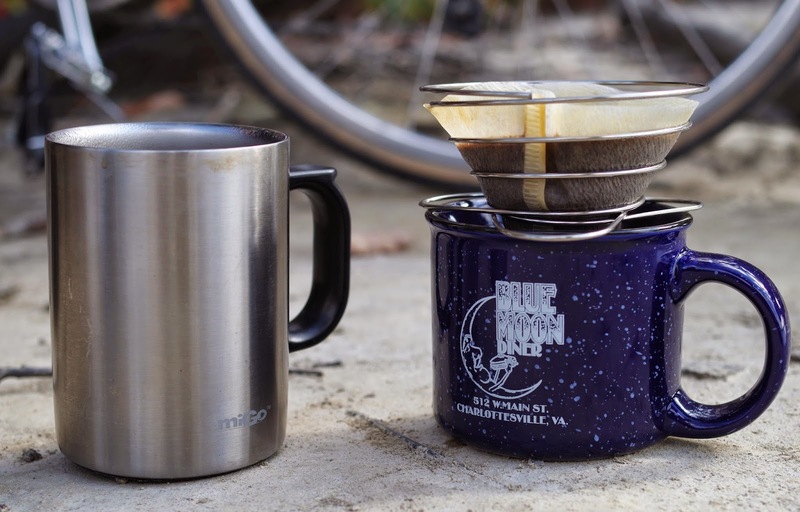 Certainly a year or so back when we asked about peoples' opinions on coffee makers and brew methods, it was one of our most popular posts. 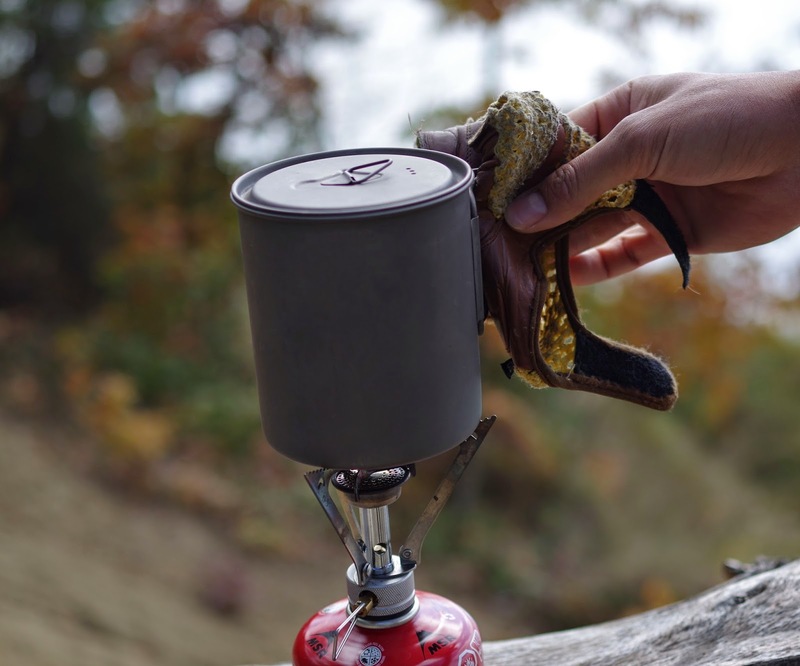 So we knew we had to get something in for coffee brewing this Fall. 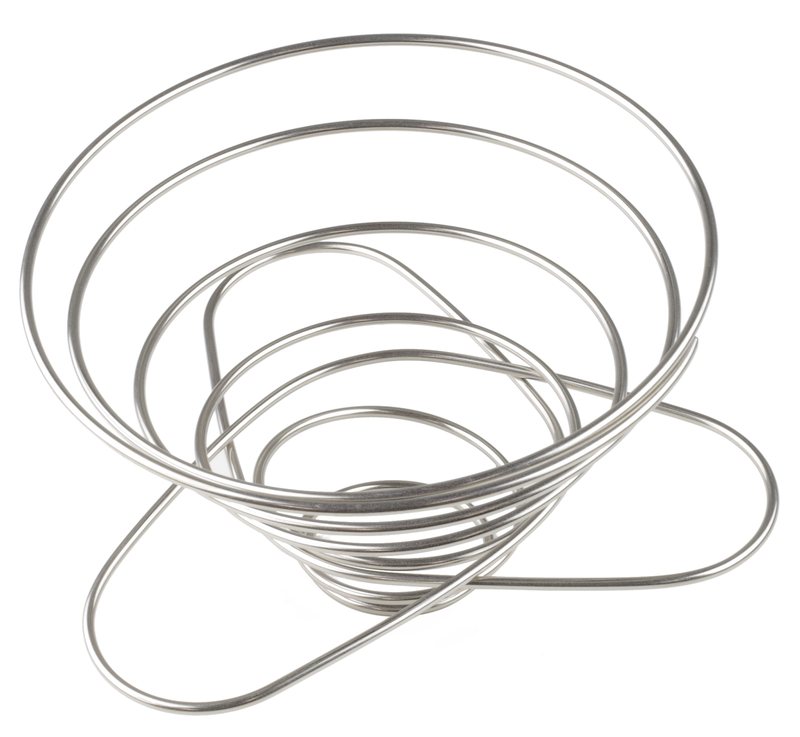 We found this coffee filter holder that is stainless steel, weighs 45 grams, and folds down flat for traveling. 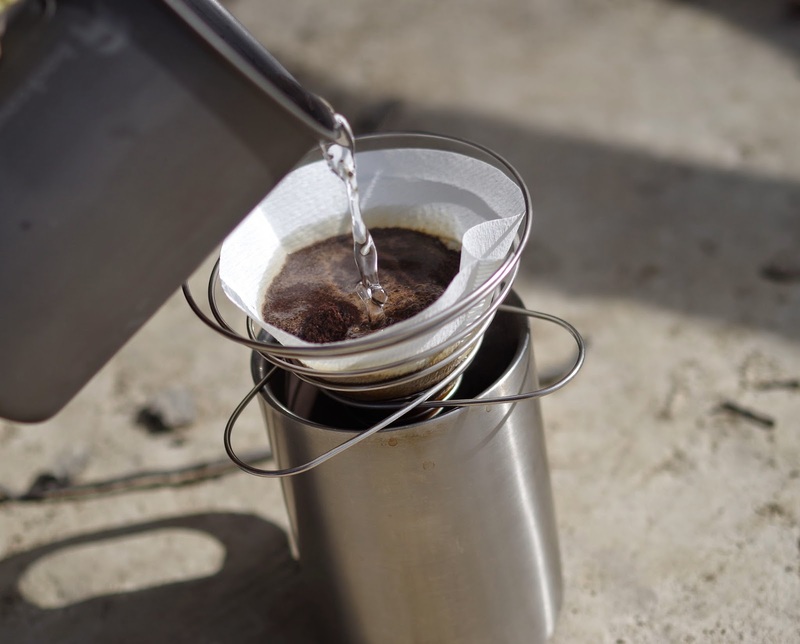 The ingenious design of this filter means that it won't collapse when making coffee. It is made like a spring, so the default is that it is open. 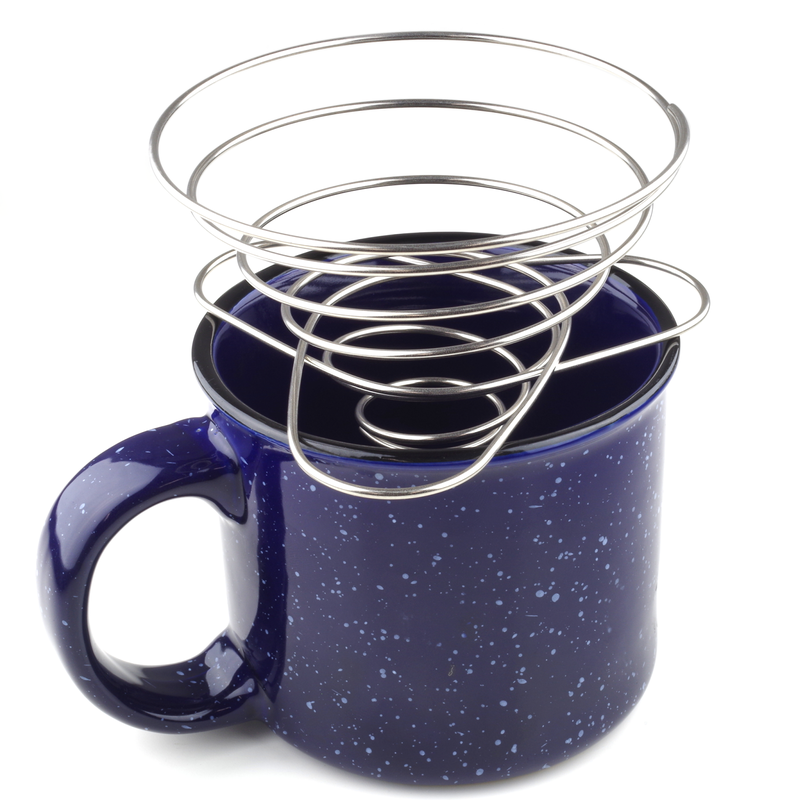 It uses the three base prongs to hold it shut for travel. It comes with 10 of its own filters, or use #2 cone coffee filters from your local grocery store. With its mesh carrying case, as well, it costs $20. Clockwise for the best pour. Or is it counter clockwise? 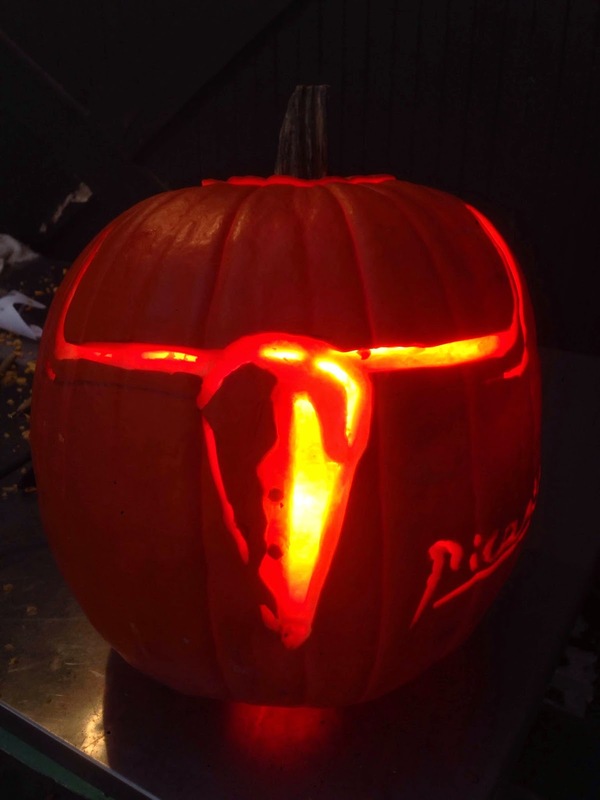 Just a reminder, our pumpkin contest ends at 11:59 pm tonight (October 30) EDT. 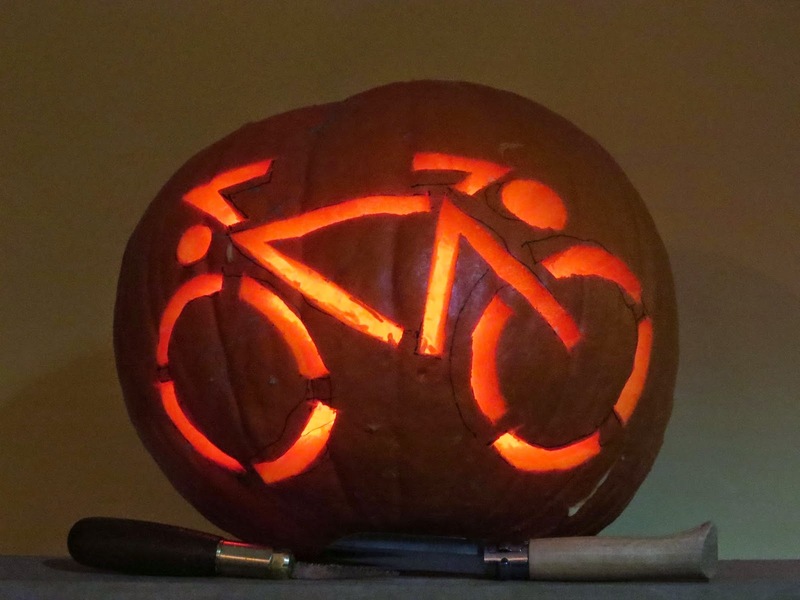 Get carving! 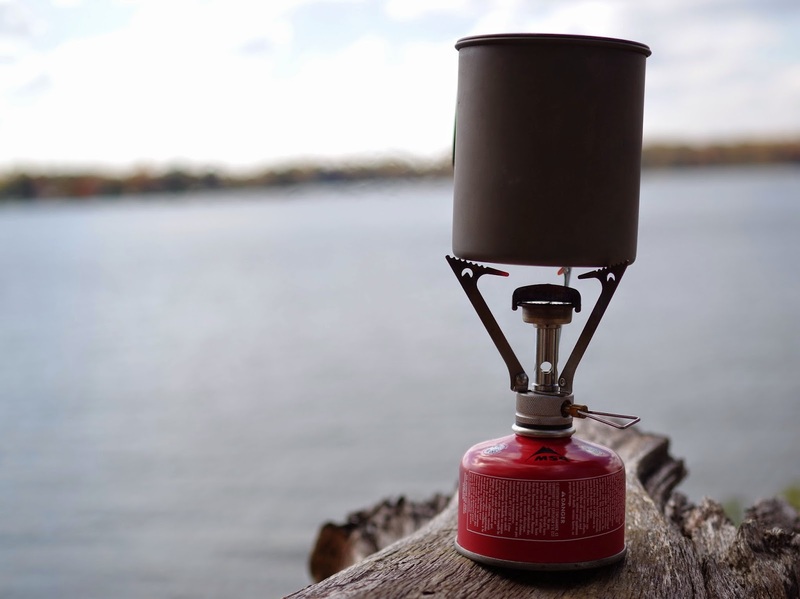 We've had a number of people emailing about when to expect a few new products we showcased earlier in the summer and we're pleased to announce they're here! 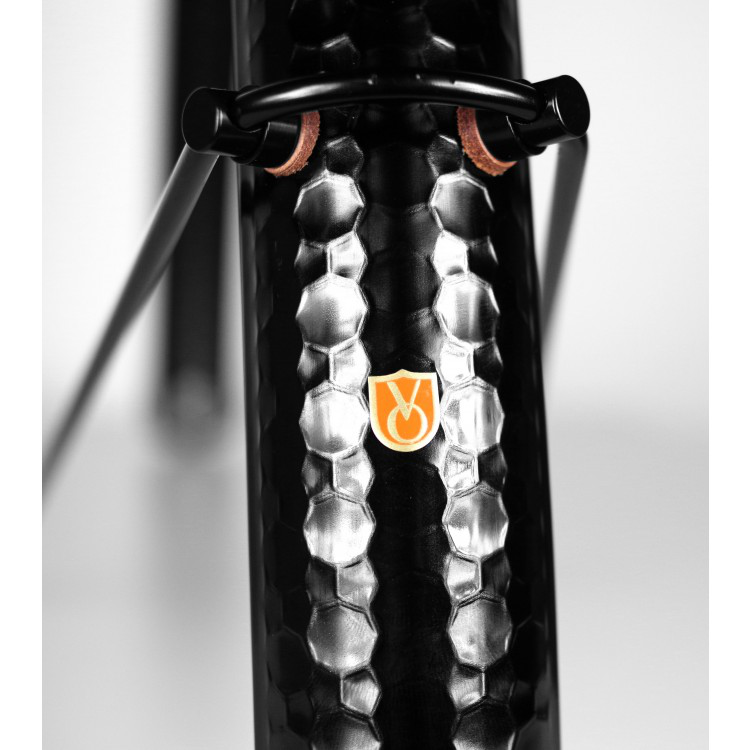 Our Noir Hammered 45 mm 700c Fenders are the same dimensions and pattern as our 700c silver version. The Model 6 line has a very handsome grain and appearance - the Red version is no different. Rule #8 followers can rest easy now. 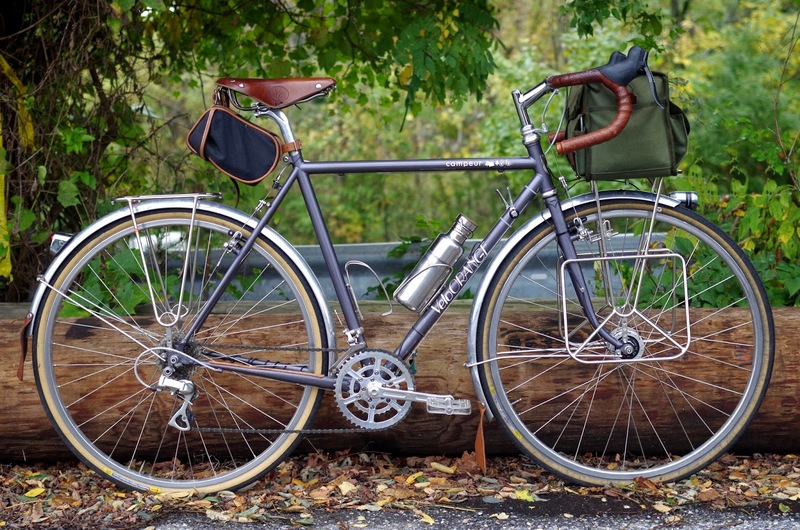 Red Grand Cru Leather Handlebar Tape along with Rust Fairweather Tires will round out your package well. Here's a small collection of tips and tricks I use in the shop, and one I use while out riding. If you have more, put them in the comments! We've all been there. Unwrap your new drop handlebar and immediately scratch the bend trying to get it through the quill stem's clamp. Then you sigh and say to yourself, 'it's okay, tape will cover it up'. 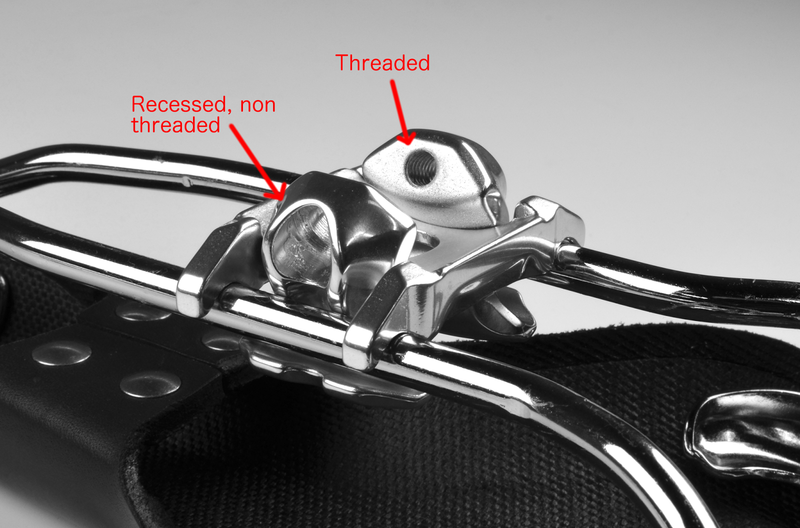 If your stem clamp has a threaded portion, put the bolt through the backside and tighten a penny. It will keep the clamp expanded and you'll be able to open it up a bit to more easily slide the bar's curves through the clamp without damage. 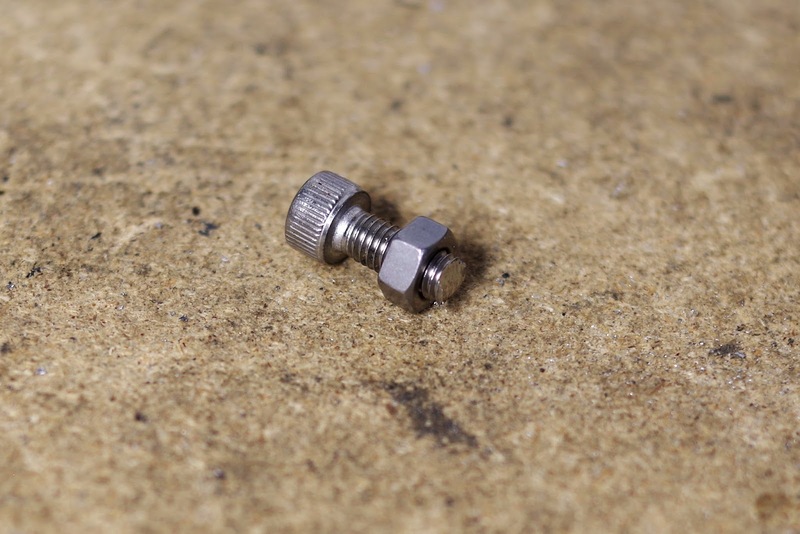 If you have a threadless design like a Nitto, find a thin nut to place in the clamp for the screw to thread through. 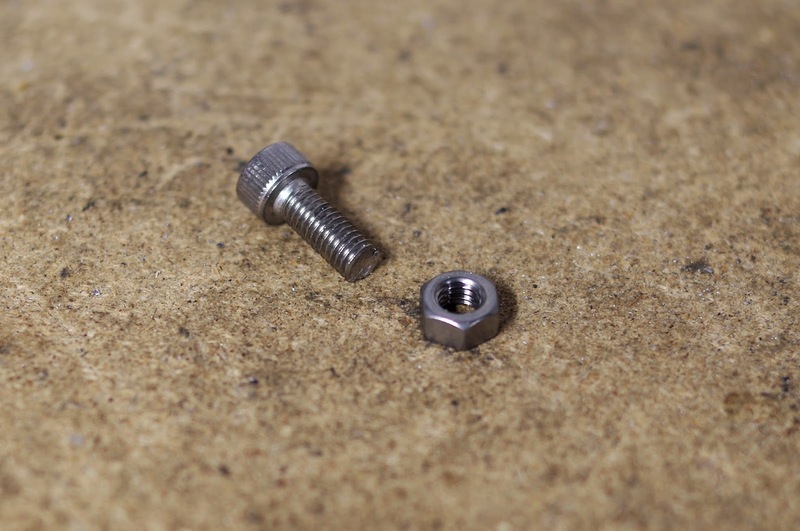 If you're cutting a bolt for a better fit, thread a nut further down than the cut. When you unthread the nut, the threads are automatically cleaned up! The clamp and body of non-aero brake levers are much smaller than their aero counterparts. Being able to see the clamp through your new bar tape is unsightly and detracts from the appearance. When you've set up the position of the levers, put some scotch tape on the clamp to hold it in place. Unscrew the body from the clamp. The clamp should stay in place by the tape. Wrap around the clamp and screw the body back on. Voila! No embarrassing clamp is visible through your wrap. This one I picked up from Mark. 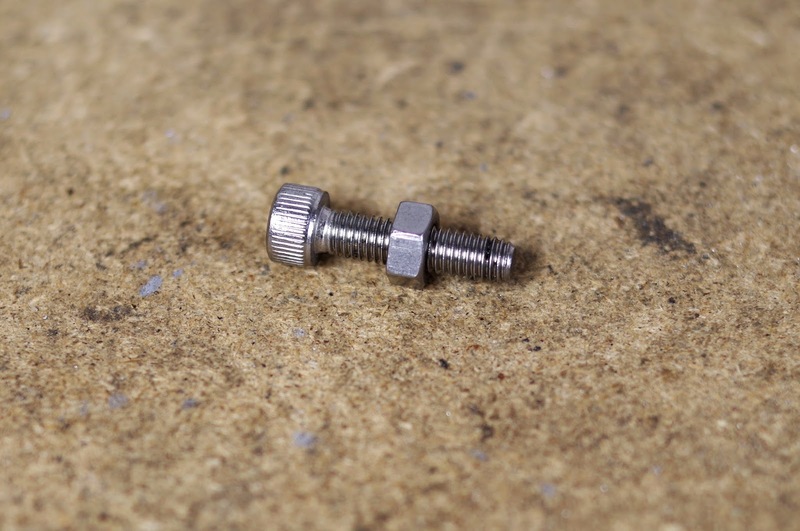 Our fender eyelet bolts are absolutely perfect for guiding dynamo wires. Zipties should be kept to an absolute minimum on a bike. Yes, I did use a few zipties. I am ashamed. The back is in need of severe de-ziptieing. De-ziptying? De-zipting? 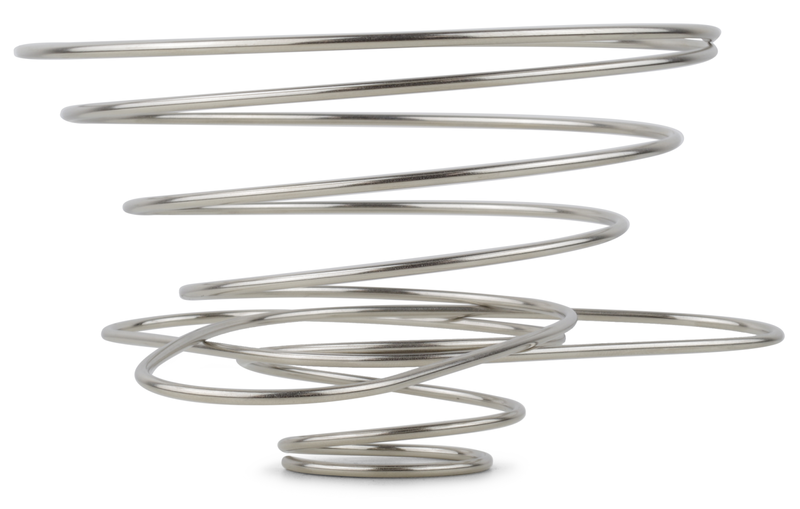 Anyway, use a couple washers to achieve optimal guiding of wires. Put a piece of cloth tape lengthwise on a handlebar to prevent the grip from turning. Careful not to tear the grip when slowly pushing it on. Stick them inside your handlebar bag's flap to get them out of the wind. Don't be tempted to throw away your valve rings. They are the absolute most important asset in a shop. 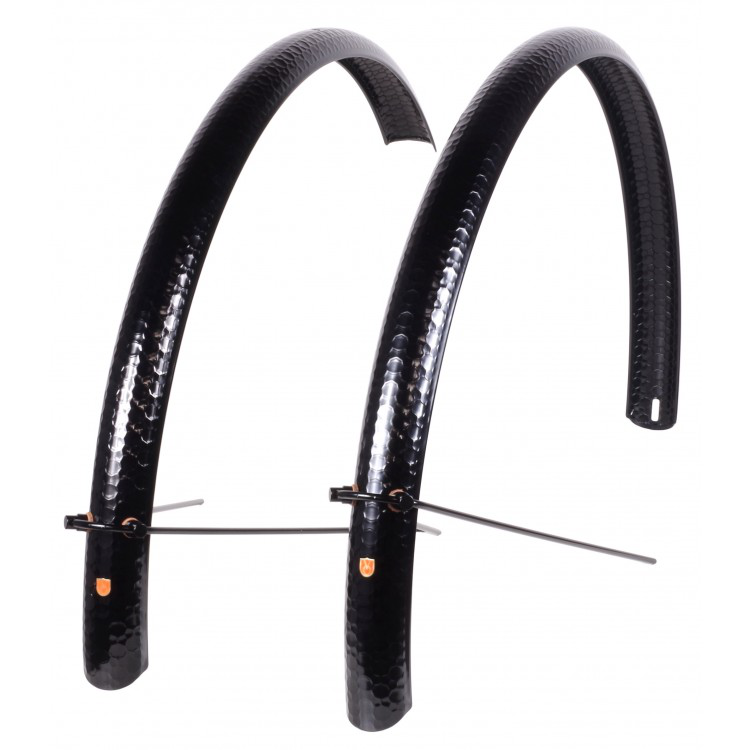 They are the perfect spacers for racks and fenders. Have more? Let us know in the comments! The Grand Cru 0 Setback Seatpost in Silver and Noir has been a very popular and we've gotten a few questions about assembly, as they're a bit different from a traditional 2-bolt or 1-bolt clamp. 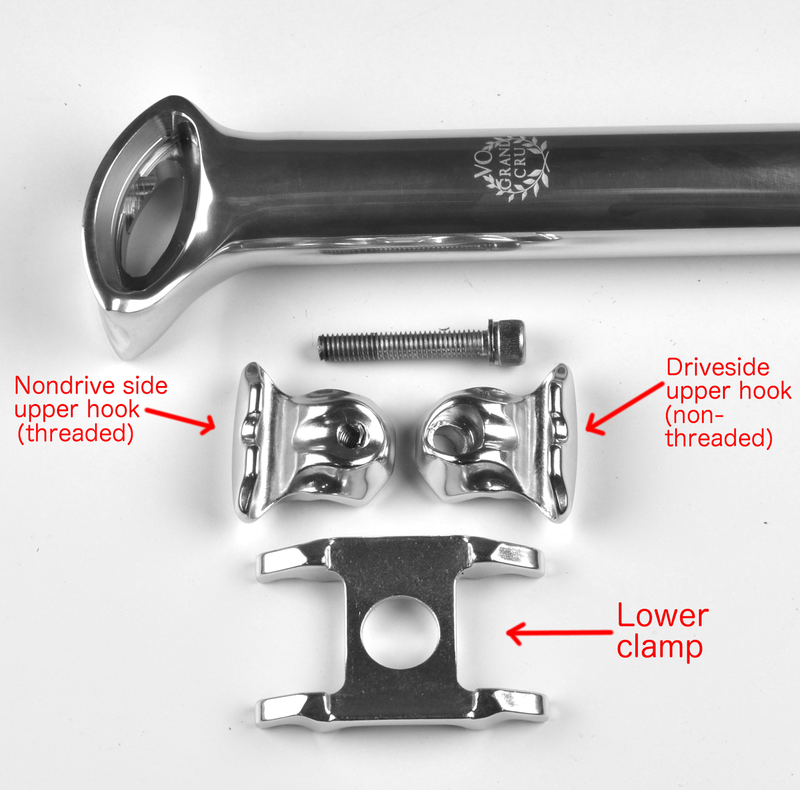 So here are some quick instructions on how to attach your saddle to your seatpost. 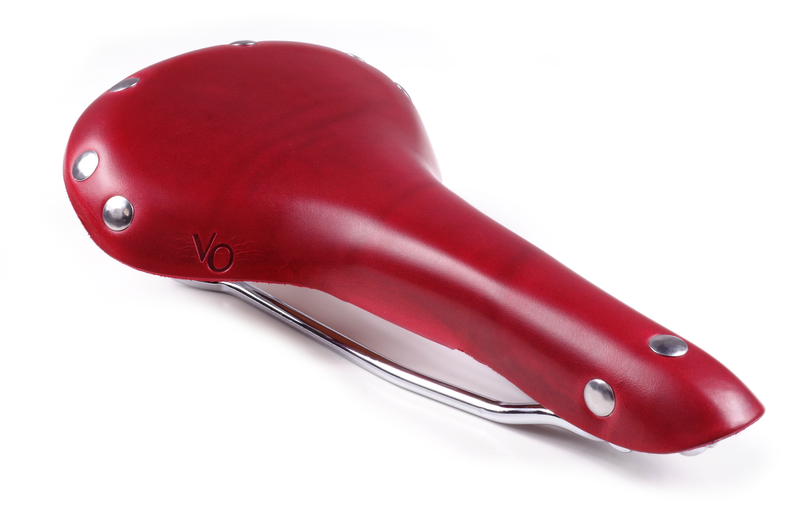 Admire your new seatpost and saddle. Disassemble the seatpost. There are 2 short hollow rods that can be discarded or used for spitballs, your choice. I assemble with the saddle on a table, upside-down; it keeps things together nicely. Place lower clamp on rails. Insert the upper hooks under the lower clamp. 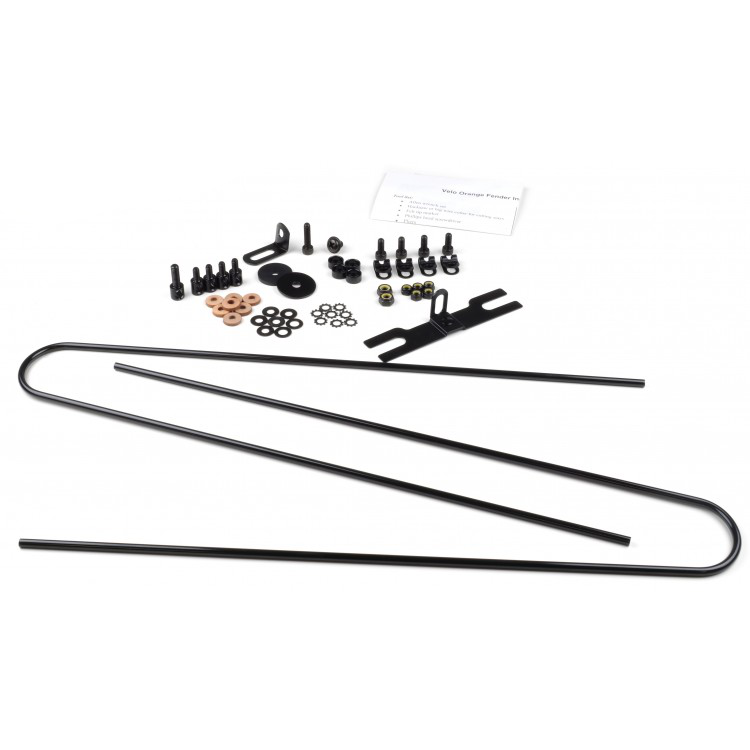 You should have the recessed non-threaded hook on the driveside and the threaded hook on the non-driveside. Insert seatpost head and pinch together the hooks. Insert the screw and tighten. Voila! There you have it. To adjust, loosen the screw a couple turns, adjust angle, and tighten snug. We're working on a couple of new frames for next year and now is the time to choose colors. This is really hard, at least for me. The problem is that I like almost any color. And almost every color has been suggested at our design meetings. We have eliminated a few options. We don't want white or black. We find white boring, and black paint hides the workmanship and little frame details we're so proud of. We also don't want a color used on a previous VO production frame (the colors used on our early custom frames are fair game). 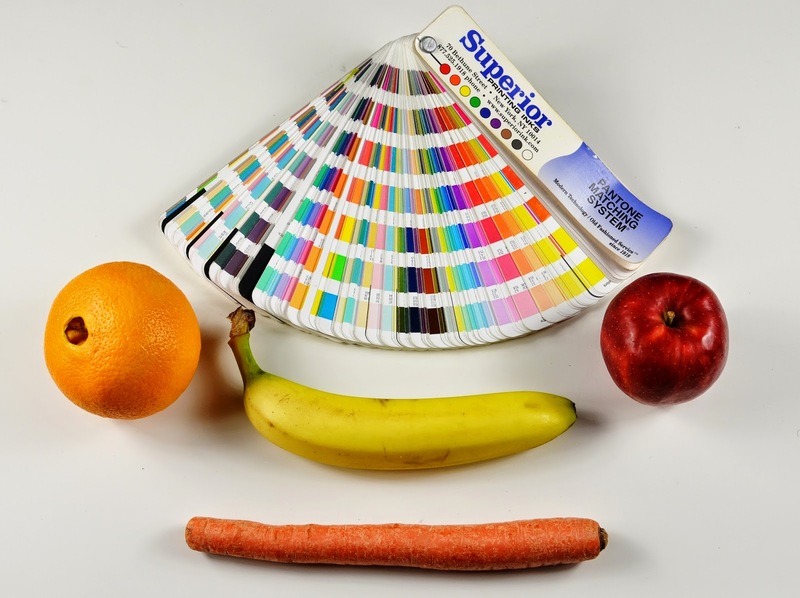 We also want to eliminate colors that a lot of folks seem to hate, colors like bright green, brown, lavender. I wouldn't mind having a frame in any one of those shades, but it seems that many people would. To help visualize shades we're considering we order sections of frame tubes painted in various colors by our paint shop. We also get prototype frames in several likely colors. We view them in bright sunlight, in shade, in late afternoon. It's amazing how colors can change in different light. One of the new frames will be sporty, so a bright color seems appropriate, maybe the orange of the prototype in the background of the photo above. The other might be used for camping, maybe stealth camping, so a more subdued shade is logical. The blue? We'll also be doing a special edition frame that'll be sold in Asia, but we have that color chosen. Anyway, the point of this post is to ask you, Dear Readers, what color VO frames you'd like to see? It's pumpkin season. We thought it would be fun to have a pumpkin carving contest. The staff here carved a couple of pumpkins this week; I carved Pierre, our "enjoy life" mascot. Unfortunately, he got in a little spill overnight before the photo was taken and taco-ed his rear wheel. Come up with an original bike themed design. Your deadline for submission is October 30, 11:59pm EST. The one on the left is by Clint, the right one by Adrian. Ok, crack a pumpkin beer and get carving! We're importing a couple new colors of Fairweather's 700x28 Traveller Tire. Here's Asphalt and classic Black and Tan. We also picked up their 26x1.75 Cruise Touring Tire in Brown. I've been riding the Algae color on my road bike since we brought them in and my ride is much more comfortable, even at high pressures. The casing is supple and light. The herringbone tread turns pavement into rails. And the color makes bystanders swoon.